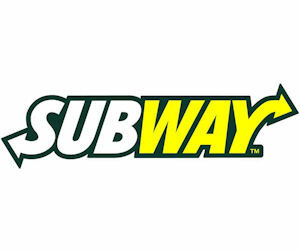 Subway is giving away a FREE English Muffin Melt! This breakfast offer is Tuesday, June 8th from 7am – 11am; no additional purchase required! Contact your favorite location to be sure they are participating in this giveaway. Here are some links to get free stuff on your birthday. You can get free stuff usually when you join their email club and then again on your birthday. We have enjoyed free meals and more on our birthdays and wanted to share these deals with you as well. Remember, if you don’t want to see a bunch of extra emails, just open another account to rangle in all your great savings signups that you’ll see here on our site. If you know of any not listed, please add them in the comments section! 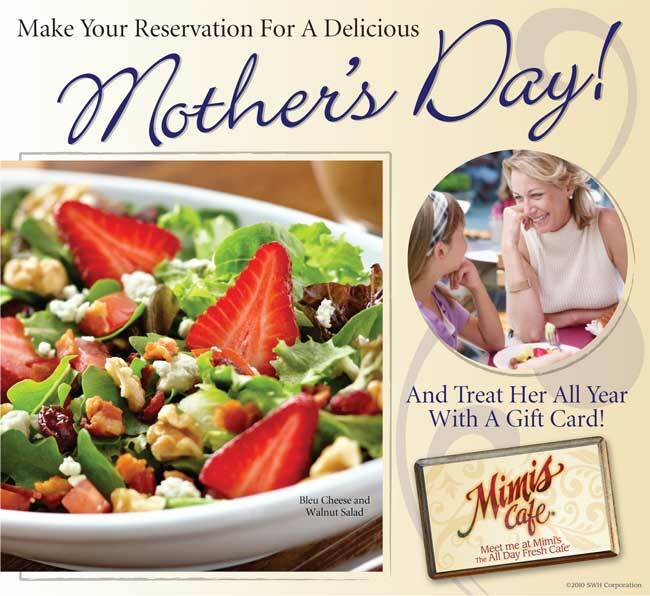 Here are some great places offering Mother’s Day Special Dining Menus…..
Moms are the best – they pick us up when we fall down, offer hugs and kisses to make the hurt go away, and give us unconditional love. This year show your mom how much she means to you. Brunch includes four of our most popular rodizo items, filet mignon wrapped in bacon, chicken wrapped in bacon, garlic steak and Brazilian sausage, and cinnamon roasted pineapple. Made to order omelet station, french toast, waffles, fresh fruit, scrambled eggs, bacon, sausage, quiche and much more! Celebrate Mother’s Day with Family and Friends at BRASA! What: Dine in with us! Why: We would love the opportunity to brighten your Mother’s Day! We have not forgotten about you! Please click here to see our shipping schedule for Mother’s Day! A complimentary, handwritten card can be included upon request! Visit us at www.weshipbarbq.com to place your order! Just let her create her own stir with all the meats, seafood and veggies. Add the oills and spices, then hand it over to your griller to cook up for you! PLEASE let them know ahead of time if you have any allergies or are vegetarian. Mother’s Day Lunch is only $5.95 and Dinner is just a buck more. Don’t forget to ring the gong for mom! Wanna Be on Top? Are you a woman between 18 – 27 years age, at least 5’7″ (no weight limits) and think you could become America’s Next Top Model? Then plan to strut the catwalk at Raleigh CW22’s local Top Model casting call. To be considered for a casting appointment nationwide, please email the following people at these locations. For areas that deadlines have passed, you may still get lucky – so give it a try anyway! Our Mission: To provide people and their pets with honest information and wholesome products to better the lives of animal and the people who love them. Halo, Purely for Pets evolved from three guiding principles: balance, nature and love. Our commitment to wholesome, natural, quality pet products is unparalleled. Halo products produce vibrant, happier, healthier pets — inside and out. We guarantee you’ll see the results. Let’s see…a product I can trust; a site containing tons of information on taking better care of pets; special offers AND a free, no risk trial offer via FREE COUPON, it keeps getting better with HALO, Purely For Pets. 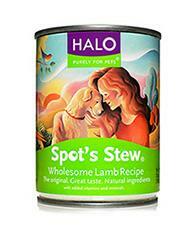 So with dog in cart, I selected two varieties of their canned Spot’s Stew. Their site encourages pet parents to read the ingredients. I found it to contain real meats, vegetables, herbs and whole grains. Pets are eating healthier than most people! And considering the limited choices on the nearly bare shelves, I’d say it’s been a very well received product. “Madame snack-a-lot” certainly enjoyed hers, all you could hear was “nom, nom, nom”. She e stayed glued to that bowl of Spot’s Stew Wholesome Lamb Recipe until there wasn’t a drop left. When finally coming up for air, tips of her curly ears had a faint aroma of a meal done right! A big THANKS! to the folks at HALO, PURELY FOR PETS for providing us with our very first promo code offer! We hope our pet parents leave comments to tell others about how their PAWS benefited from using these holistic products made especially for loving homes! All of the information below was compiled from emails I received to help celebrate Easter. Some offers require you to sign up with them, but what’s one more email when they’re gonna offer you savings? I suggest making an account using a free service like Gmail, Hotmail, AOL, etc. for all non business related registrations. Betty Crocker offers advice on everything for your holiday planning from start to finish. All You Magazine’s website always has helpful articles, tips, recipes and of course, coupons. I need to renew my subscription with them. Hormel has several tips and recipes for Easter dinner. As with most sites, you must be a registered member to print coupons and take part in special promotions. Pillsbury be adventurous and try one of the Bake-Off® finalist’s recipes. They’re competing for a $1 Million Grand Prize. Coupons.com can help you save on your purchases it’s a great source for internet printable coupons. North Hills Mall In Raleigh is having a Scavenger Hunt with the Easter Bunny. You can win prizes, contests, and giveaways from MIX 101.5 and the many shops and restaurants at the mall. Saturday, April 3rd starting at 12pm on the Commons. Crossroads Plaza The annual Cary Egg Hunt with the Easter Bunny is on Saturday, April 3rd from 10am – 1pm. Moore Square Egg Hunt Raleigh’s biggest and best! Saturday, April 3rd, 10:30am. Over 10,000 eggs for kids in four separated hunts for kids of all ages. Visit the Main Tent marked with the large “Raleigh Easter” sign to receive a gift bag. There will be live music, balloons, inflatables, and of course candy. ALL FREE!!! If you don’t live too far away, this is a great time to visit downtown Raleigh. Little Sprouts Storytime Celebrate Spring with “Tales of Peter Rabbit” at the A.E. Finley Education Center, Mon, April 5, 10am – 11am. Learn about the fuzzy critters that make the park their home, play games and make a craft. Ruby Tuesday sent me a 25% coupon to use on Easter only. The code was unique to my membership or I’d post it. Check for locations that serve Sunday brunch and sign up with them to get your coupon! Brasa Brazillian Steakhouse in Brier Creek is having their annual Easter Brunch from 11am – 3pm. I’ve only been for lunch & dinner,so this seems like a good time to try their brunch service. The Duck & Dumpling In downtown Raleigh is having their first-ever brunch with a twist including spicy basil duck, tofu pad thai and tropical fruit platters. Sunday, April 3rd from 11am. to 3pm. I’ve only been there for lunch, but it was wonderful! P.F. Chang’s has a special prix-fixe menu for two. Find your location and make a reservation. Easter isn’t just for kids! Smithfield’s Chicken ‘N Bar-B-Q check for a location near you or maybe even place an order to have it shipped to you! Dickey’s Barbecue Pit – It’s not too late to order a boneless smoked honey ham! Durham and Cary will be open 11a-4p on Easter. Kids always eat free on Sunday so find your closest location. If you have any tips or know of any events, please leave a comment for others visitors!